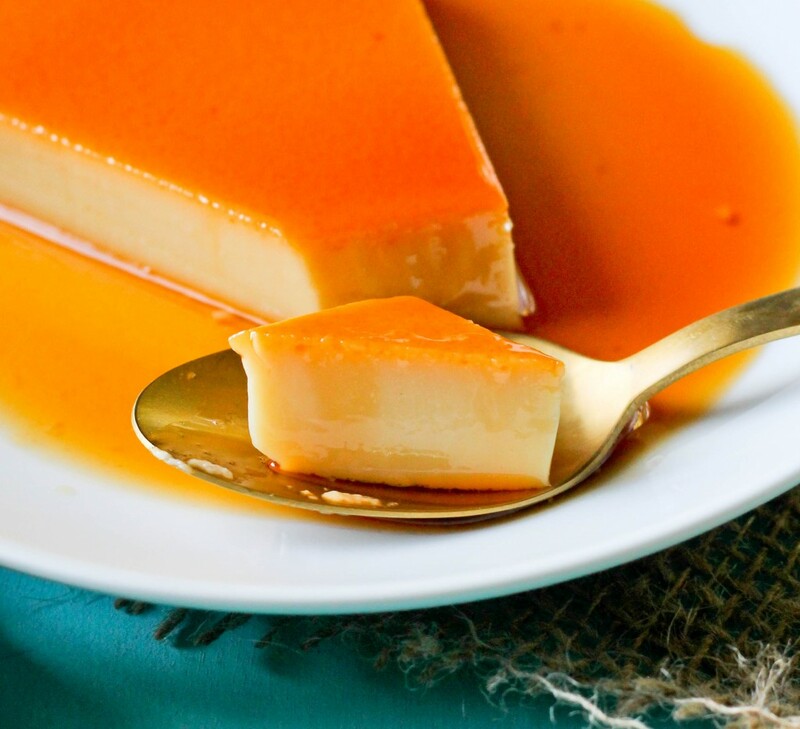 I’ve always been a huge fan of custard type desserts; baked custard and crème brulee are all on the top of my list so it’s only natural that flan would be a part of that list. 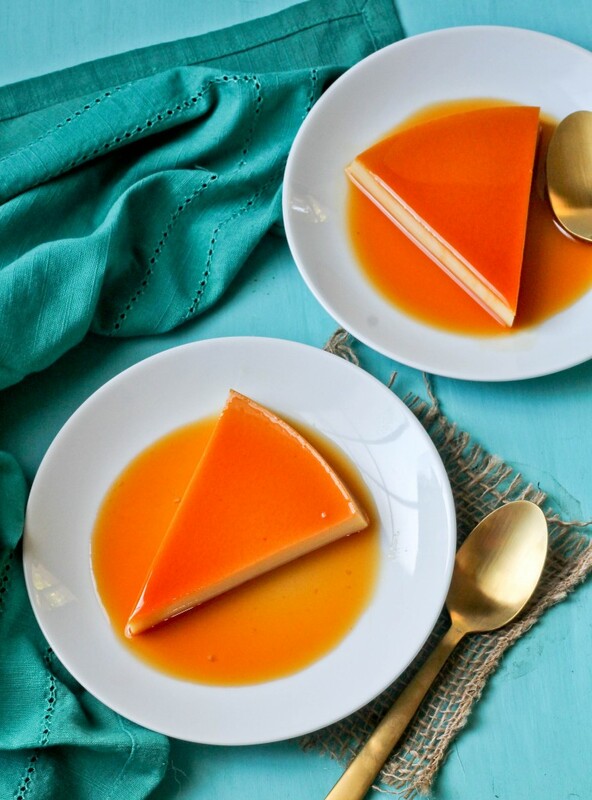 Flan or Crème Caramel is a baked custard dessert with a sweet caramel sauce that’s popular in Mexico, Cuba, Puerto Rica and many other Spanish speaking countries. This sweet dessert has a dense, smooth and silky texture and all it takes is just a few ingredients. 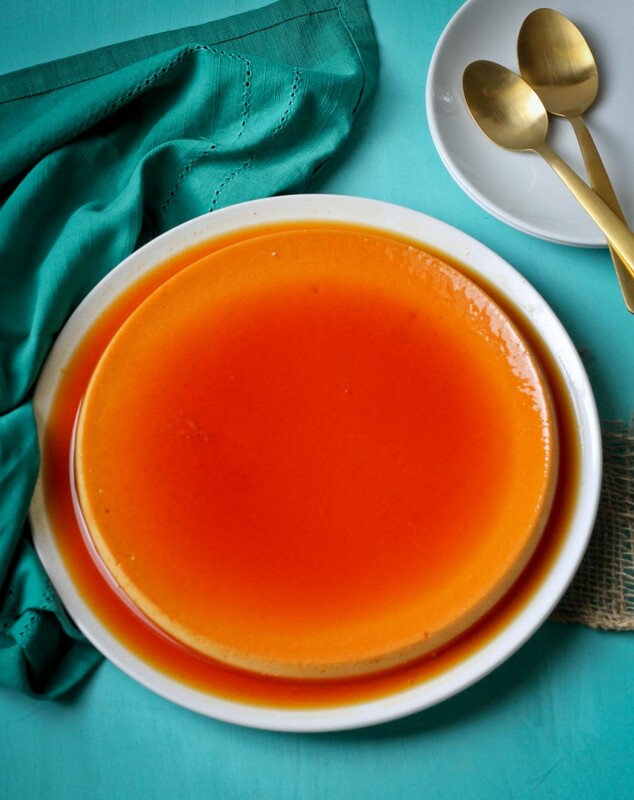 This is a classic Flan but the possibilities are endless; Bren of Flanbouyant Eats has a wide variety of flavors from roasted hazelnut and kahlua to nutella with rose water. This can also be made in individual serving dishes for a dinner party! 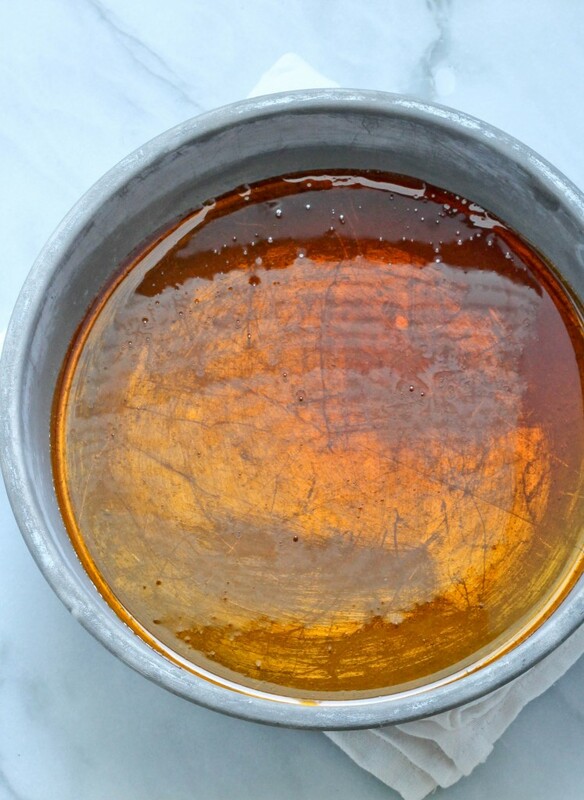 In a heavy bottom pot over medium low heat, melt the sugar until it becomes a golden brown color. Do not stir, this will cause the sugar crystallize, instead move the pot in a circular motion. Once the the sugar has completely liquefied pour into a 9 inch baking dish. 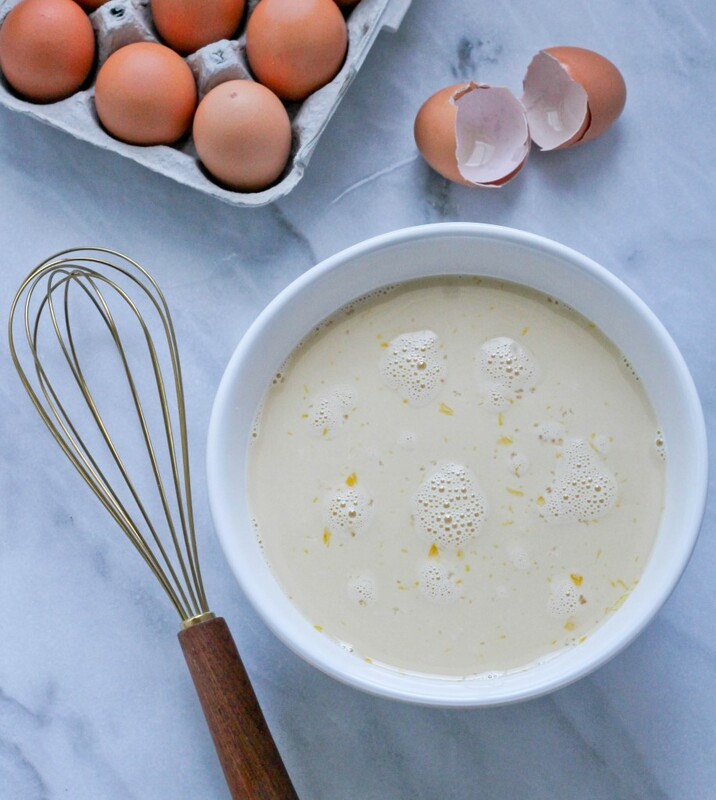 In a large bowl beat eggs. Mix in condensed milk, evaporated milk and vanilla. Slowly pour the mixture through a strainer and into the prepared pan with the caramel. Place in 13×9 baking dish and place into oven (it is easier to pour the water while the pan is on the oven rack, this prevents spilling). Pour warm water into the large baking dish until the water is about half way up the sides of the pan with the custard. Place into a preheated oven and bake for 1 hour. Carefully remove from the water and allow to cool for at least 4 hours before serving. To serve, invert custard onto a plate.